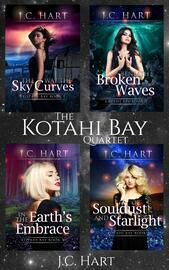 Welcome to Kotahi Bay; birthplace of the gods, safe haven to those whose magic sets them apart from the normal world. Melody, Moana, Alyssa and Samantha are children of the Maori gods and unwitting protectors of Kotahi Bay. Between them, they must embrace their powers to overcome jealous exes, ecological threats, invasions, and the wrath of a vengeful demi-goddess in order to protect the Bay and everyone they love. 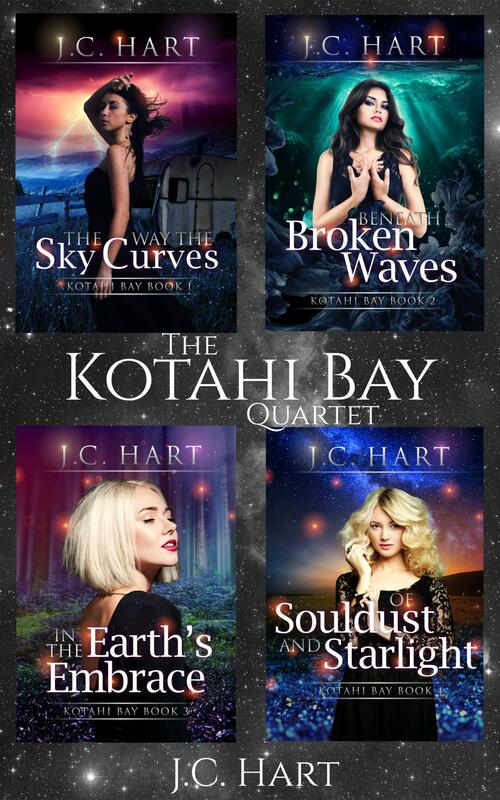 Grab the Quartet now for the complete Kotahi Bay series by Sir Julius Vogel Award-winning author J.C. Hart. Includes The Way the Sky Curves, Beneath Broken Waves, In the Earth's Embrace, and Of Souldust and Starlight, with bonus novella In the Spirit.